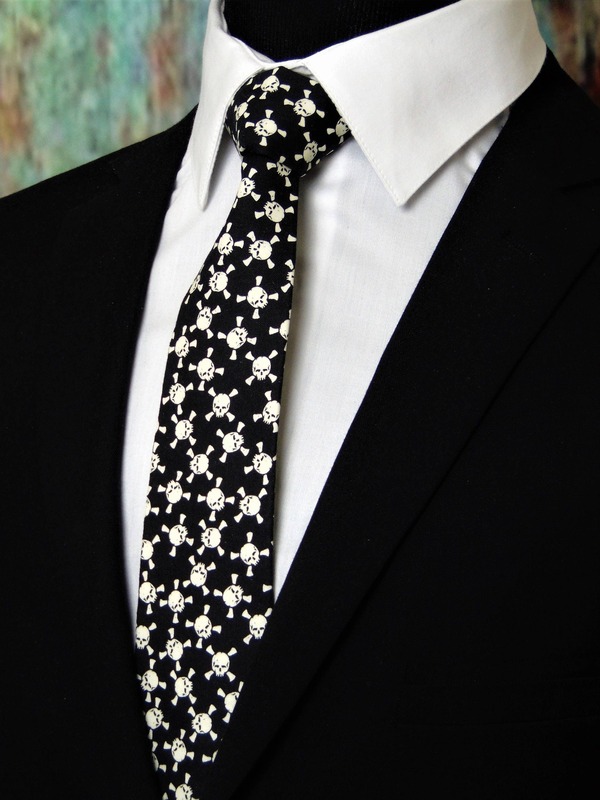 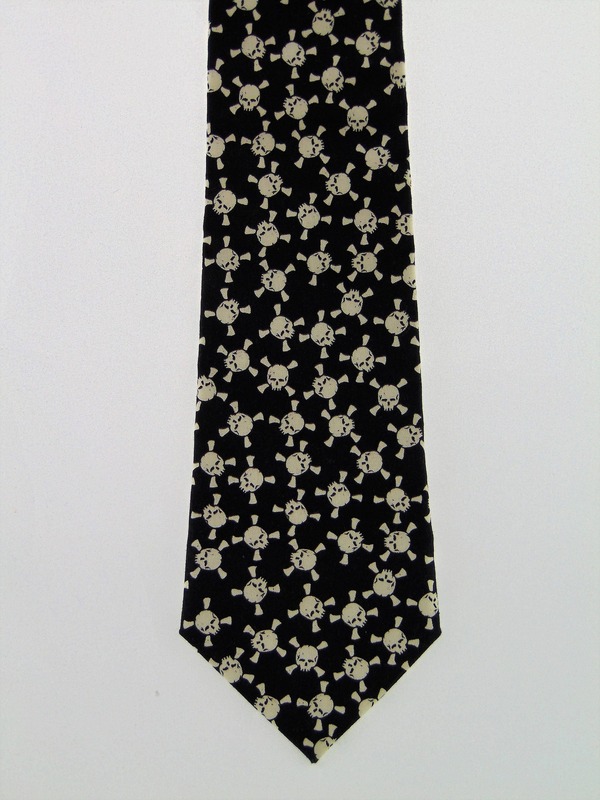 Gothic Necktie – Skull Glow in the Dark Necktie, Also available as a Skinny Tie. 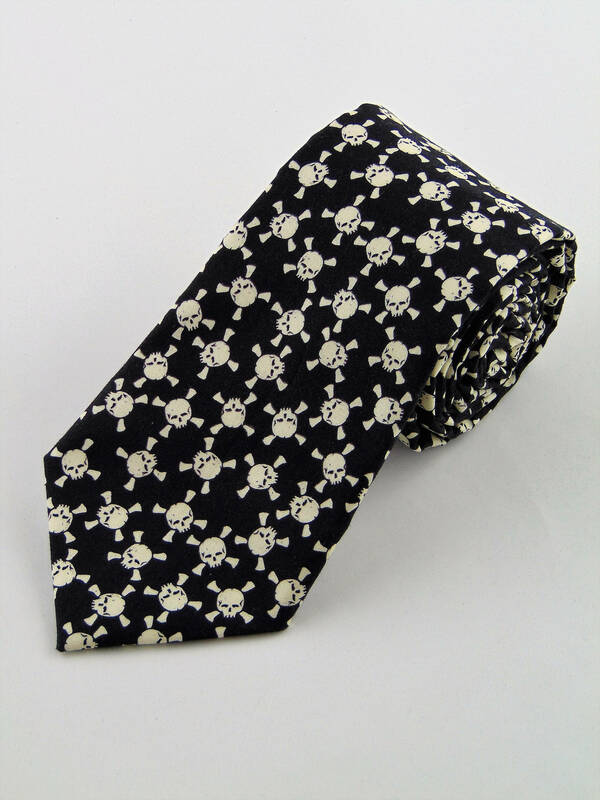 Men's glow in the dark skull tie. 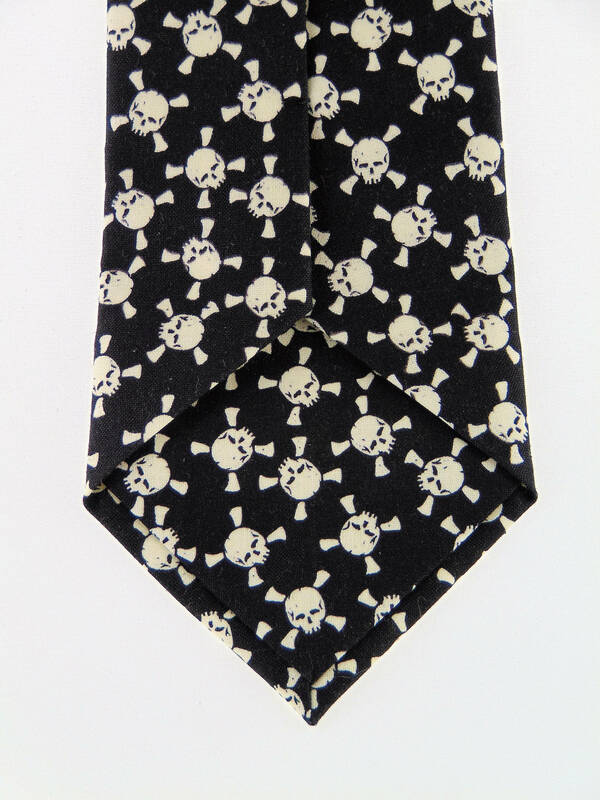 Features a black background with cream skull & cross bones. 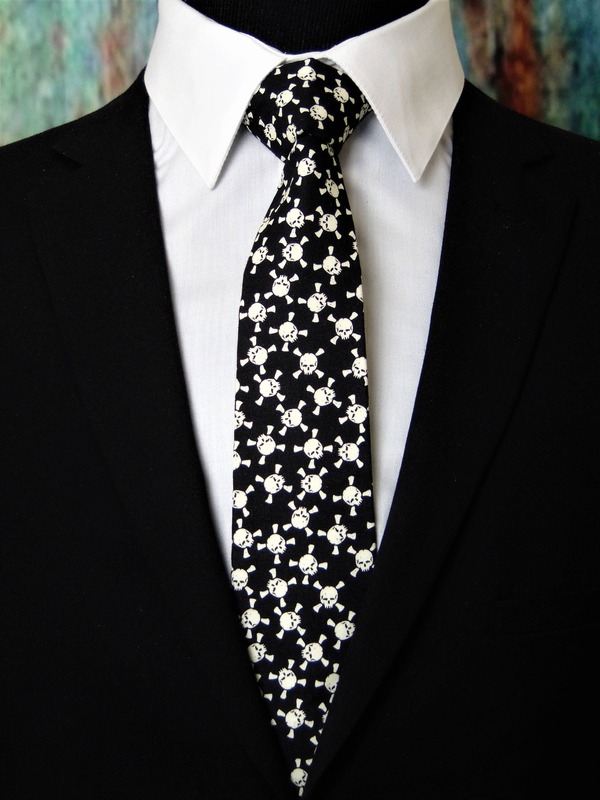 Pocket Square available upon request pending availability of fabric cost $10.00 Convo me to check availability.